Are Your Old Harry Potter Books Worth $1,000 or More? Are you a devoted Harry Potter fan? If you have a few of the books lying around your house, or better yet, sitting untouched on a shelf, you might want to check them out. Some Harry Potter books are worth serious cash. Die-hard Harry Potter fans and book collectors are known to pay top dollar for certain editions of the popular series, and eBay is the prime place to sell the books and cash in. A signed “First UK Deluxe Edition” of Harry Potter and the Prisoner of Azkaban (first edition, first printing) is currently listed at $7,500. As I write this post, eBay listings show 15 separate Harry Potter books selling for between $5,000 and $7,500. Not bad for a book that probably cost less than $20 when it was released! Dozens of additional books are listed at prices north of $1,000. Think it’s time to scour your bookshelves? Entertainment Weekly put together a breakdown of which Harry Potter books might be worth selling. Which Harry Potter Books are Most Valuable? 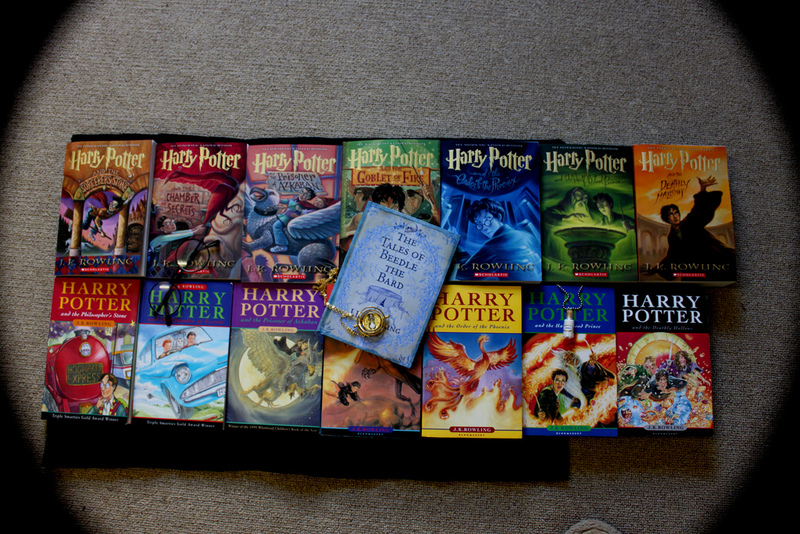 In general, the most valuable edition is an early version of Harry Potter and the Philosopher’s Stone. The hardback version is worth the most money, but only if it has an image of a train on the cover next to Harry. The softcover version with the same image could also bring in a decent sum. If you have a copy of Harry Potter and the Chamber of Secrets lying around, take a look at the cover image. If it shows the flying car with Harry and Ron inside, you’ve got a valuable version on your hands. You’ll also want to check the publisher listed inside your book’s cover. Bloomsbury is the most valuable publisher, especially in hardback versions, although the Scholastic version of Harry Potter and the Sorcerer’s Stone might also bring in some money. Why are the Older Books Worth More? They were printed before Harry Potter become a blockbuster success, so there are fewer copies of these earlier editions. Later books, typically from Harry Potter and the Goblet of Fire on, are not worth as much because so many more copies of each book were printed. Could your Harry Potter books help you make a little (or a lot) of extra money? Check out the full breakdown at Entertainment Weekly. Your Turn: If you had any of the Harry Potter books on Entertainment Weekly’s list, would you sell them?